Confirm your enrollment and register for classes! 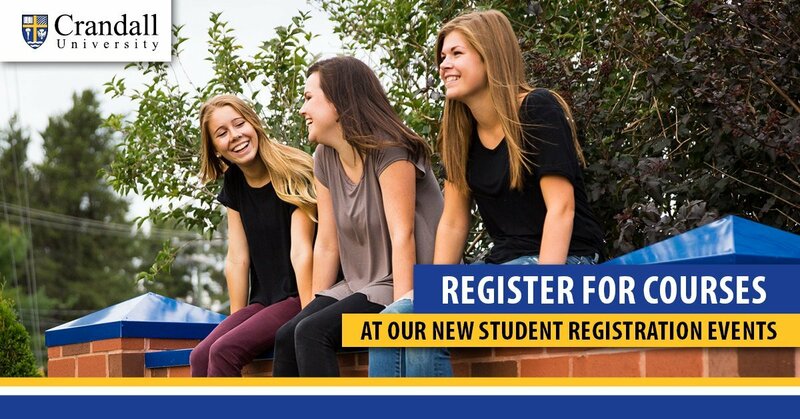 If you’ve been accepted into one of our programs, this is an opportunity for you to get some great info on Crandall, talk with our Finance and Housing departments, and most importantly…register for your classes for the coming year! We will also be able to accept your enrollment deposit to confirm your spot for the fall. This is the next step in your Crandall education, and you don’t want to miss it. If you are unable to make any of these events, don’t worry! You can still confirm your acceptance by paying your enrollment deposit, and set up an appointment with our Registrar at another time.